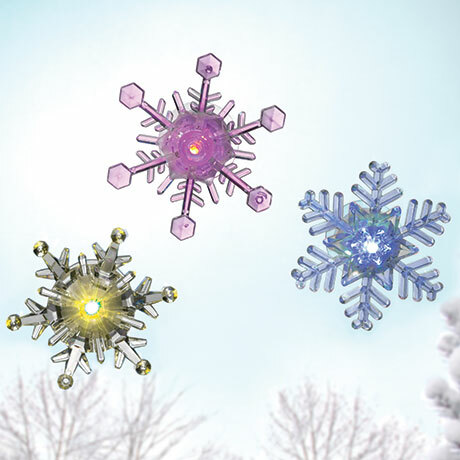 Watch these fascinating set of 3 LED snowflakes change color before your eyes! Suctions to window or other smooth surface for a magical touch. Batteries included. Each snowflake 4" x 1.5"